Are you not feeling the love anymore with your current gold necklace? Maybe you have a collection of gold necklaces pilling up in your drawer, collecting dust. 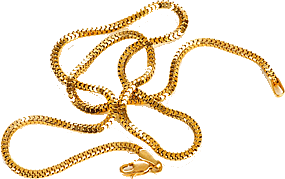 We at Brisbane Gold Buyers will purchase your gold necklaces, along with any other gold items, at leading market rates. We also come to you to value, access and purchase your gold; which means you don't have to leave your house... we do all the work! For more information, or to make a booking, contact us now.